Crisp and clear blue skies make for the perfect summer day. 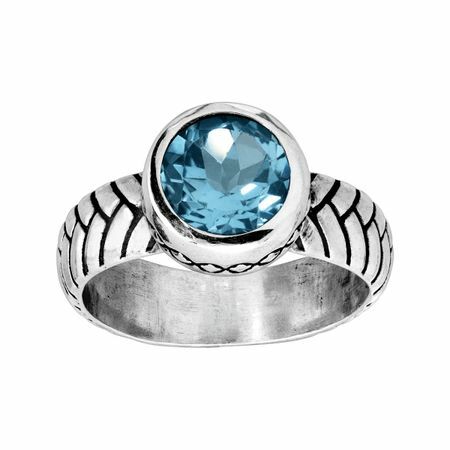 A blue topaz is set atop a sterling silver band, etched with a braided design with a small wave feature around the stone. Ring face measures 3/8 inches in width. Piece comes with a ".925" sterling silver stamp as a symbol of guaranteed product quality.